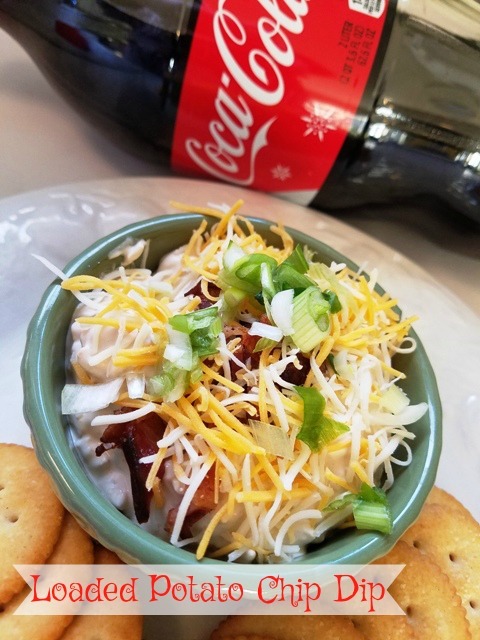 Loaded Potato Chip Dip is a total touchdown in flavor! Simple ingredients make this flavorful dip that everyone will enjoy! Are you as excited about the big game as we are? I am thrilled to see my favorite team play and see the half time show. But most importantly, my favorite part of the day is what we are going to be noshing on. 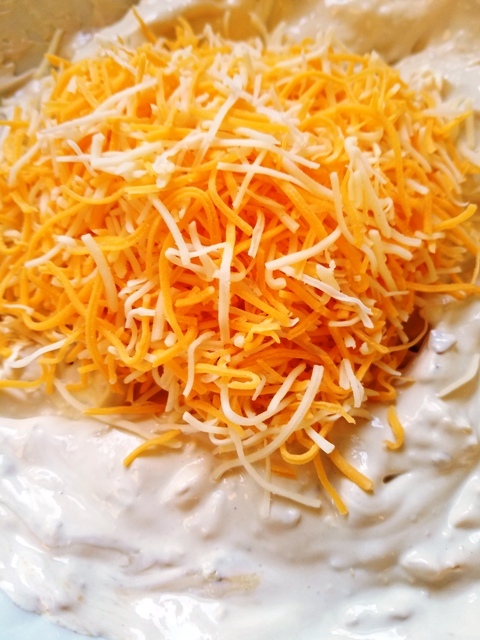 I love making quick and easy recipes for fun football food, such as my Loaded Potato Chip dip. But let’s also talk about what we will be drinking! We will be sipping on Coca-Cola and Coke Zero! I love how it’s so easy to get all of my game needs at Dollar General. 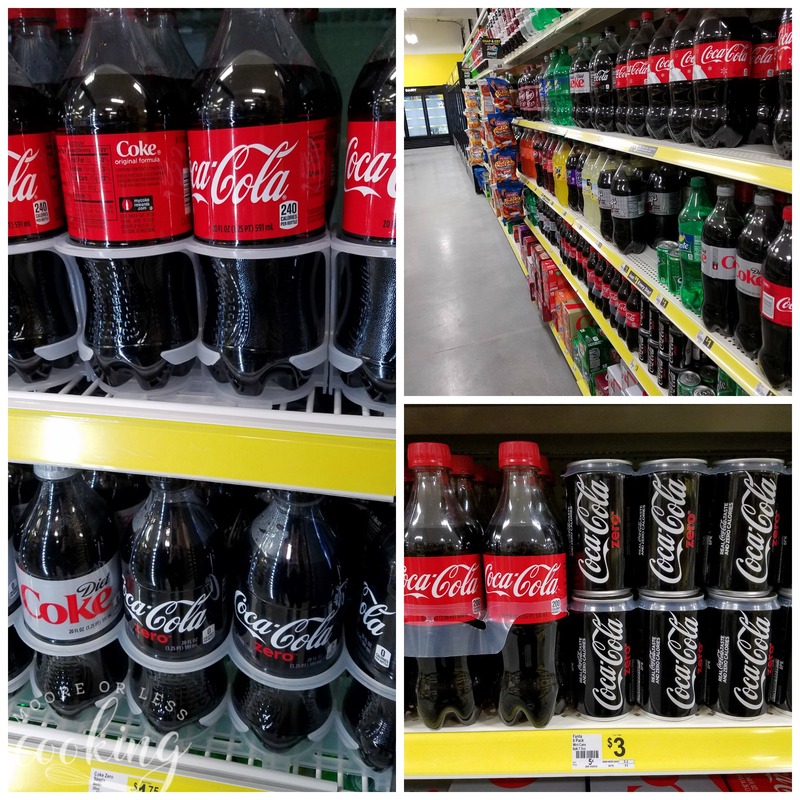 The perfect beverage to serve on game day is Coca-Cola or Coke Zero! 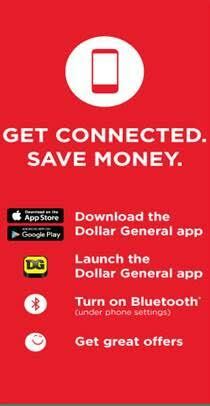 Here is how the coupon works: Shoppers can redeem via a printed coupon, digital coupon or enter their phone number at checkout. Snap a pic of your best game day celebrations and post to Twitter or Instagram with the hashtag #DGUnitedByFootball. Check out inspiration for your game day events here! 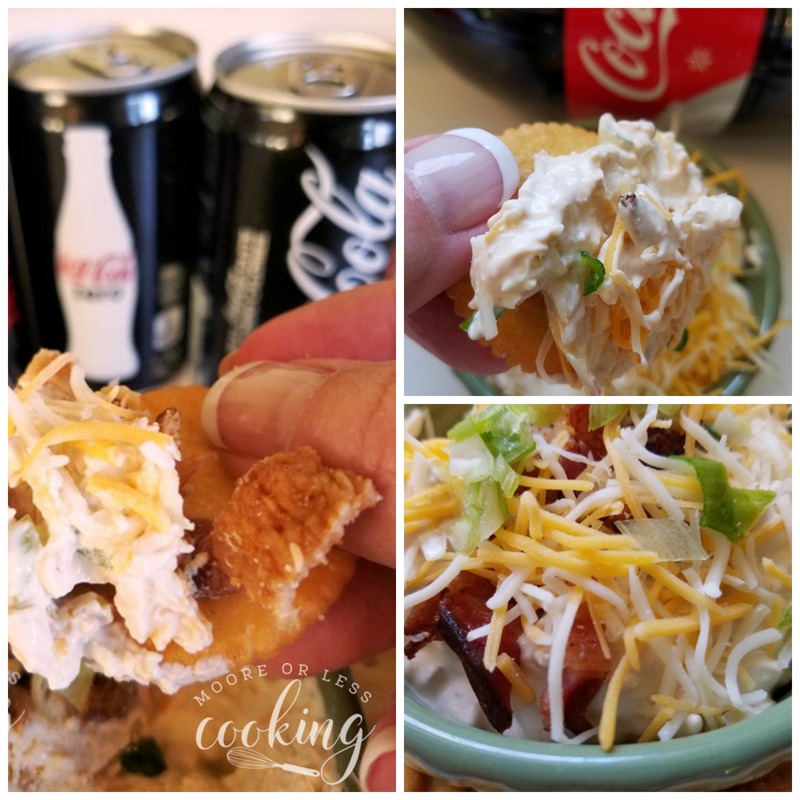 So here is what you need to do to make this yummy Loaded Potato Chip dip! 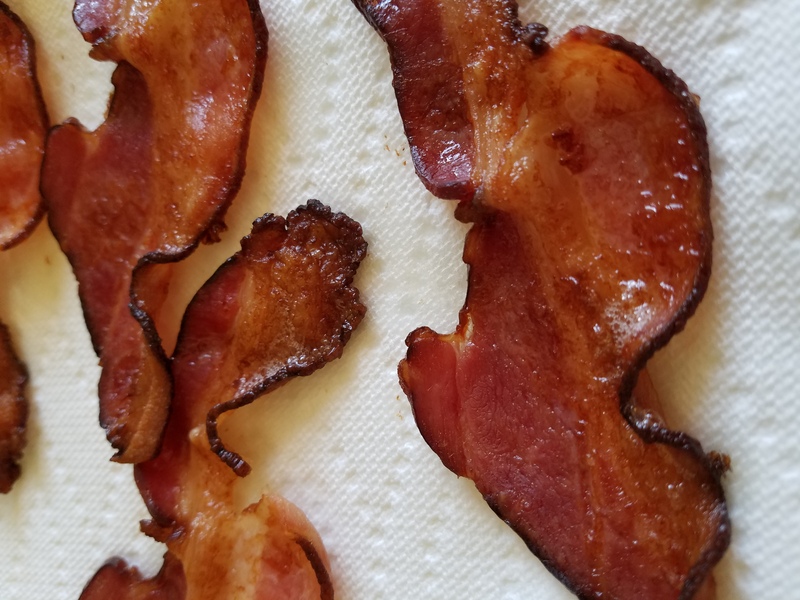 Bake bacon on a parchment lined baking sheet at 400 degrees Fahrenheit for 10 minutes or golden brown. Drain on paper towels. In a bowl, mix sour cream, cream cheese, and onion soup mix. 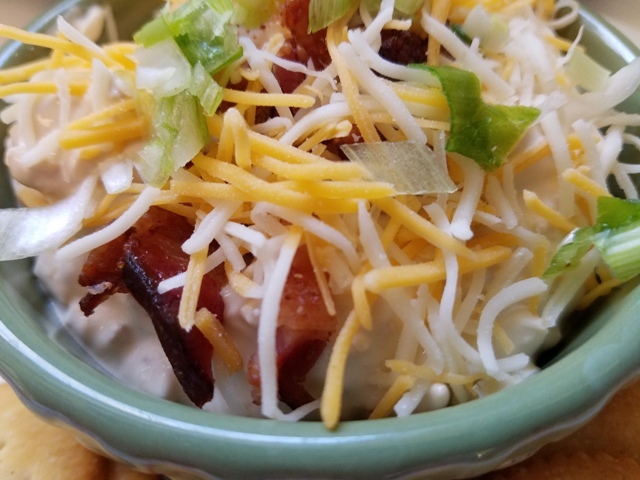 Add chopped bacon, grated cheese and chopped green onion to the sour cream mixture. Use cheese grated in a small holed grater for finely grated cheese. 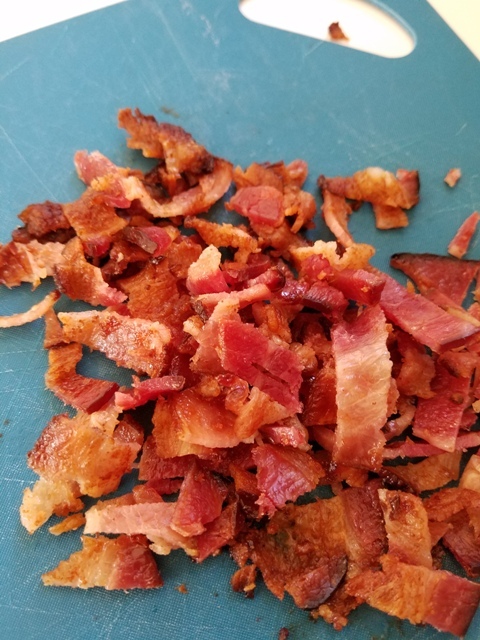 Add bacon, cheese, and green onion as garnish. 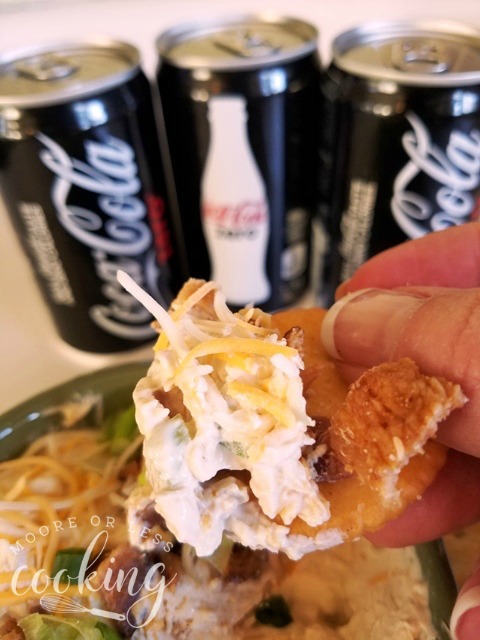 Serve with crackers, chips, tortillas or veggies and Coca-Cola!! 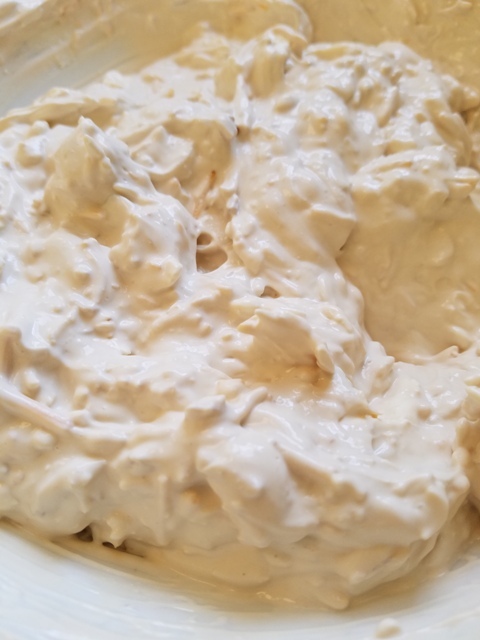 For the dip, in a bowl, combine the sour cream, cream cheese, and Onion Soup Mix and stir until smooth. Then, add in the cheddar cheese and stir until well-blended. Lastly, add in the crumbled bacon and the green onions and stir. Note: refrigerate dip for a couple hours before garnishing, so that the flavors enhance and meld together. I haven’t seen this dip made with onion soup mix before. This sounds yummy! 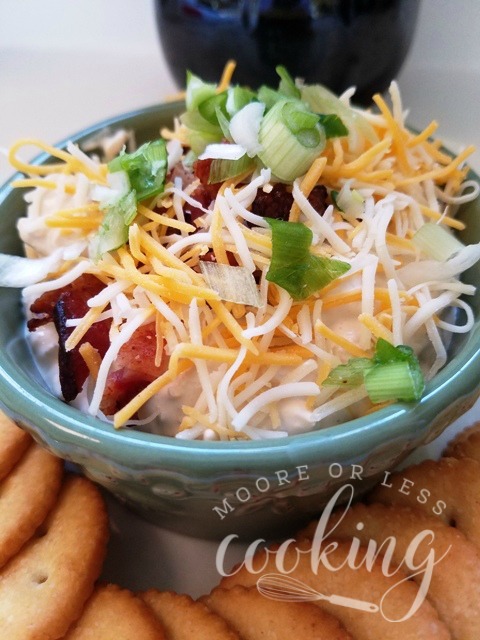 This yummy dip is a keeper! This sound delicious and perfect for game day!